Optimum speed of recalculation - 1200 banknotes a minute. Mode of summation of results of recalculation. The mode of counting of a pack of banknotes of the size (from 1 to 999 banknotes) set by the user. 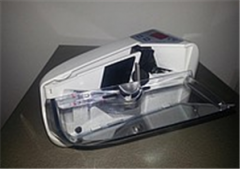 Mechanical control of thickness of banknote paper. 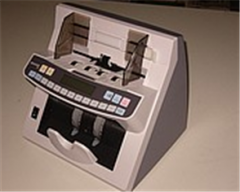 Stop of recalculation and conclusion to the error code display at detection of a chain of banknotes, the dual, bound together, rumpled banknotes, banknotes with the big absent fragment. Sound indication of mistakes (with a possibility of shutdown at the request of the user). Indication of the included modes: packs, summation, manual start. 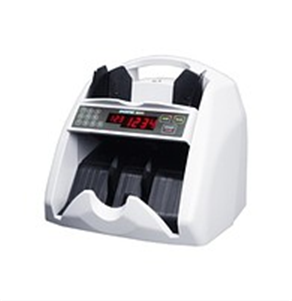 The DORS 600 banknote counter is intended for recalculation of banknotes of various currencies. DORS 600 possesses the increased reliability and a big resource of work and is recommended for recalculation of money supply uniform face value in places with a big turn of cash. The optimum ratio of the price and quality does the DORS 600 counter attractive and for retail trade. * the Optimum speed of recalculation - 1200 banknotes a minute. * Automatic or manual start. * Mode of summation of results of recalculation. * the Mode of counting of a pack of banknotes of the size (from 1 to 999 banknotes) set by the user. 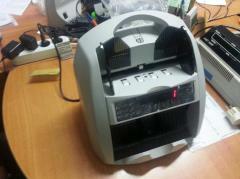 * Mechanical control of thickness of banknote paper. * the Stop of recalculation and a conclusion to the error code display at detection of a chain of banknotes, the dual, bound together, rumpled banknotes, banknotes with the big absent fragment. * Sound indication of mistakes (with a possibility of shutdown at the request of the user). * Indication of the included modes: packs, summation, manual start. * the Metal framework significantly reduces vibrations and provides high reliability of the account and a big resource of operation of the counter. * Thanks to the special design of sensors of the account providing their self-cleaning the interservice interval of operation of the counter significantly increases. * the LED display of a red luminescence is developed according to requirements of credit institutions for ensuring accurate fixing of results of the account with black-and-white chambers of systems of video surveillance. Indications of the display are well visible to the operator at different viewing angles and at any lighting indoors. * the Giving high-capacity pocket containing 400 banknotes. * the Special form of a reception pocket provides exact and equal laying of the counted banknotes. * the Reception pocket and part of elements of a design are made of shock-resistant plastic with addition of carbonic fiber - the hi-tech constructional material guaranteeing the high durability and not electrostatic character. * the lowest noise level at recalculation among the banknote counters presented in Russia. * Colour and the invoice of material of the case are picked specially up for reduction of pollution of the case of the counter in the course of its operation. * the Heat - and the moisture-proof touch control panel. * the Convenient handle for transfer of the counter. 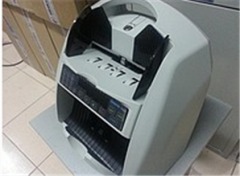 Unbelievable price on Dors 600 banknote counter in Almaty (Kazakhstan) company A Tehcentr Plyus, IP.